Media rights advocates say the case is politically motivated. A month ahead of snap parliamentary elections, authorities in Kazakhstan have detained the chairman of the country’s Journalists Union and his son, who directs a local news agency. According to the authorities, Seitqazy Mataev is suspected of embezzling nearly $1 million as well as tax evasion. Seitqazy’s son was not named in the anti-corruption service’s press release though he was detained for several hours with his father. In addition to heading the Journalists Union, Seitqazy Mataev is also president of the National Press Club. The authorities allege that in that role he embezzled 340 million tenge ($970,000) between 2011 and 2015 that had been paid to the National Press Club by the Information Technology Committee and Kazakhtekecom, the state-owned telecom, for publicity. Seitqazy and Aset Mataev were detained for questioning Monday, reportedly an hour and a half before a press conference held by a media rights organization based in Almaty, Adil Soz. Per RFE/RL: “Adil Soz alleged that Kazakh authorities were trying ‘to curb operations of the National Press Club, known as a place for political dialogue and discussion.’” Tamara Kaleeva, the chairwoman of Adil Soz, and Ermurat Bapi, an independent journalist, spoke at the press conference. 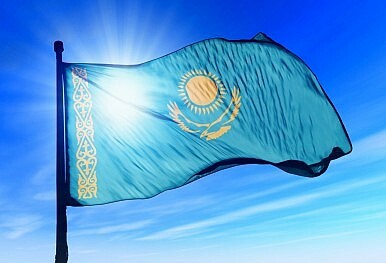 They also said that the authorities were trying to tighten control on KazTAG, the news agency directed by Aset Mataev. The younger Mataev was released but his father remains in custody. Aset Mataev spoke to Eurasianet shortly after being released, echoing the statements made at the press conference decrying the case as politically motivated. If tried and convicted, Seitqazy Mataev faces six to 12 years in jail and the confiscation of his property, which according to Aset Mataev’s comments to Eurasianet, include the National Press Club building in Almaty. Astana says the father-son pair embezzled millions, others call the convictions politically motivated.